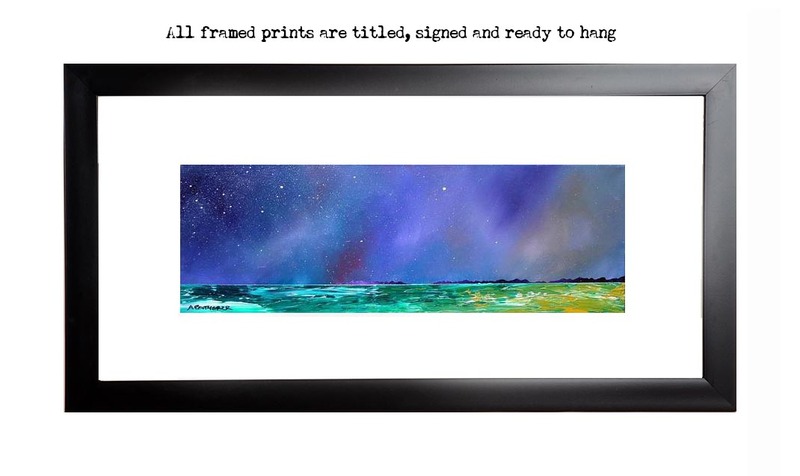 An original painting & prints of The Isle Of Harris, Scottish Outer Hebrides. An original abstract, atmospheric seascape painting of The Isle of Harris, Scottish Outer Hebrides. Original box canvas painting has now sold. A range of print sizes and formats are now available. Painting & prints of Isle Of Harris, Scottish Outer Hebrides by Scottish landscape painter Andy Peutherer. Framed print of Isle of Harris Shore, Scottish Outer Hebrides by Scottish landscape painter Andy Peutherer.